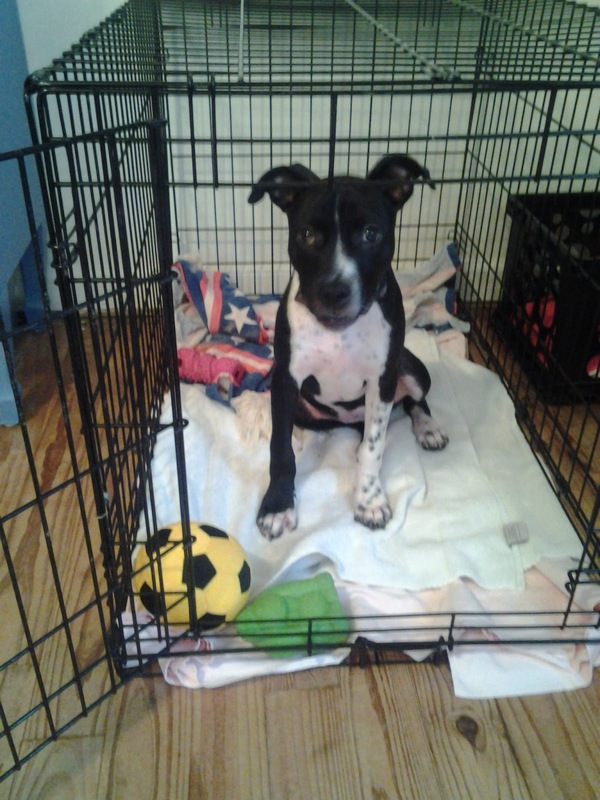 I thought it prudent to write about being a Canine Foster Parent. The pictures on this post represent many of the dogs that The Lovely Shane and I have recently fostered in our home. You will notice that some of the captions indicate a dog to be a foster flunkie. This is not a bad thing. These are dogs that fit so well in our pack that we decided to adopt them ourselves making them a permanent member of our pack. In other words, these dogs now have a forever home at the Dog Training/Foster Shack! A few of these fosters are still in our pack as foster dogs. Most of them, however, have either found other fosters whose packs were better for them or they have found forever homes. So, I will start by defining what exactly I mean when I refer to as a Canine Foster Parent. 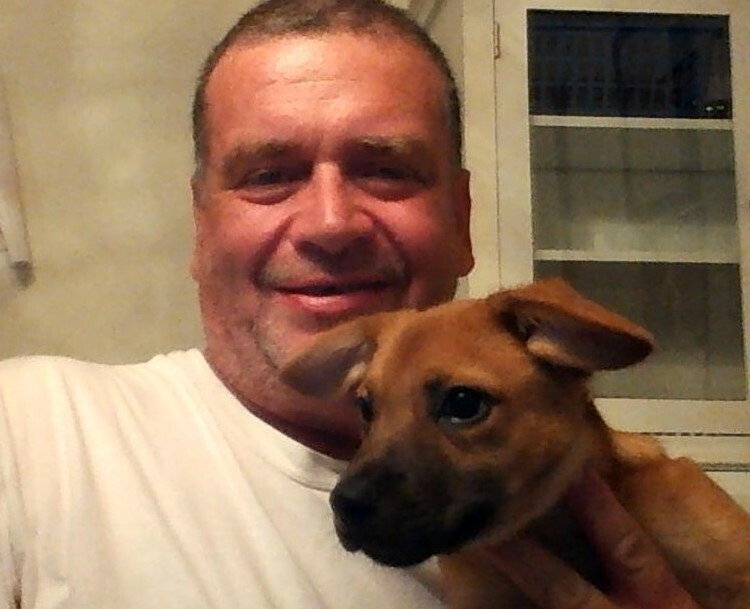 In general terms, the Canine Foster Parent provides a temporary home for a dog that has been rescued from a high kill shelter, a owner who could no longer care for him/her, being a stray, or some similar unfortunate situation. As a foster, we treat the foster dogs very much as we do our own adopted dogs. They become temporary members of the pack and temporary members of our family here at the Dog Trainer/Foster Shack. With the support of the rescue organization with which we are affiliated (BullyWag, Inc.) and their donors, we take care of all the foster dog's needs. We arrange for them to go to the veterinarian when needed. We work on housebreaking if needed. We do some basic obedience training with them so that they are well on the way to becoming a polite little guy or girl. We feed them. In short, we provide them with love, routine, and care. The routine is important. It is important that they are exposed to a typical home environment so that they have a better chance at finding a perfect forever home. 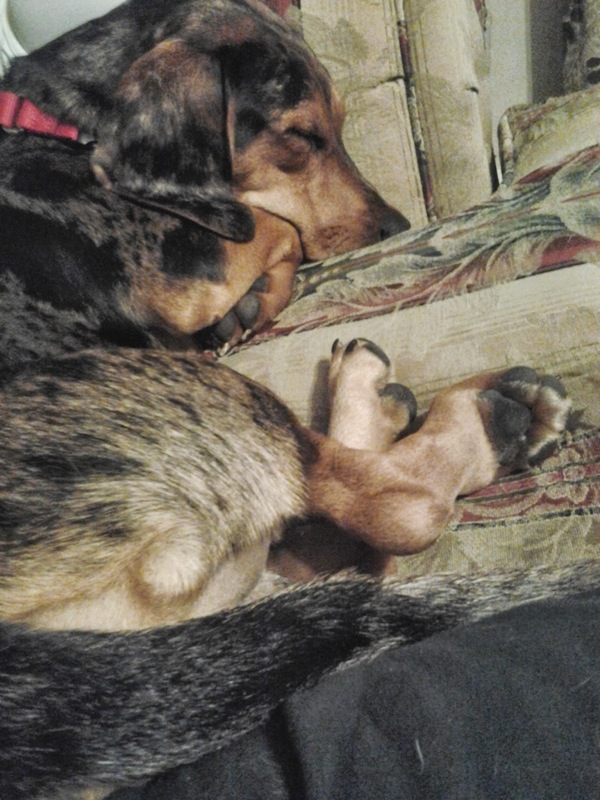 Having them in our home allows us to observe the foster dog in a typical home environment. We begin, very quickly, to learn about their "personalities", for lack of a better word. It helps us to provide better information, to a potential adoptive parent about how well they may fit in a particular adoptive home. This ultimately greatly improves the chances that they will find a loving forever home! Not all dogs are a good fit as a foster with your pack. Our pack is comprised entirely of adult and senior dogs. 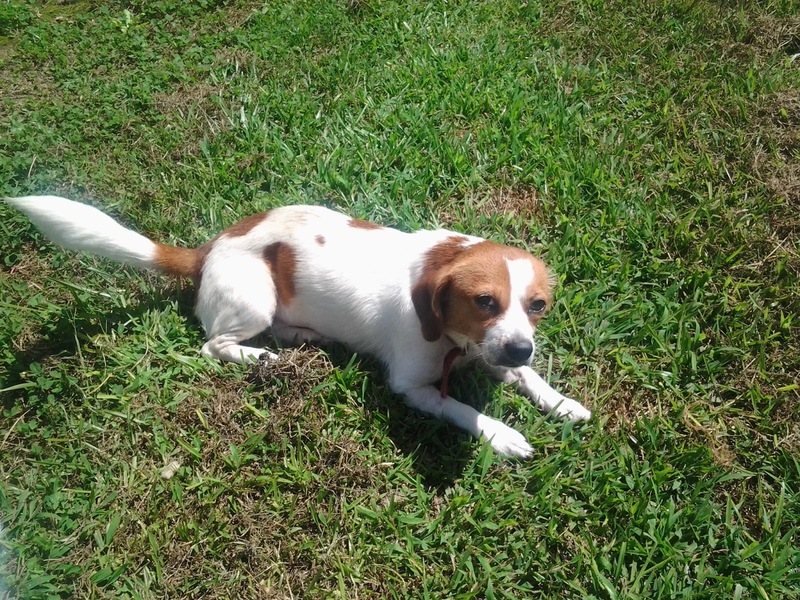 Most of our pack are beagles or other scent hound or scent hound mixes. So, a young playful puppy is generally not a great fit in our pack. Sometimes, however, it is difficult to discern how a particular individual will fit with your pack until the individual has spent a little time in the foster's home. There is no stigma on your efforts as a foster or any hard feelings on the part of the rescue group if a foster does not work in your home for any reason. The safety and well being of all the dogs in your pack, as a foster parent, has to be your greatest concern. If a new foster is inducing stress in the rest of the pack or being too aggressive, most of the time, your best option is to find a more suitable foster for the individual that is inducing the stress or displaying the aggression. Being a Canine Foster Parent is not for everyone. It is a commitment. You will also become emotionally attached to the foster dog. This always happens to us. We reason it out in the following manner: Any foster that leaves our house for a forever home is a life saved. This is very literally true. When a foster gets a forever home, provided the forever home is not our home, this frees up our resources so that we can help save the life of another foster dog. This is a beautiful thing! Many people ask me how long we typically have a foster in our home. The correct answer is that it varies very widely. Some dogs are adopted very quickly. One little guy, named Whiskey, was only in our pack for about a week. Some dogs take much longer. Copper, my demo dog, was with his foster parents for over a year before I adopted him. Some dogs leave our pack before they are adopted. Foster boy Biscuit, was with us for a few months. He was an older puppy at the time. In the beginning he did very well. However, he eventually hit the puppy adolescence stage and was no longer a good fit for our pack. 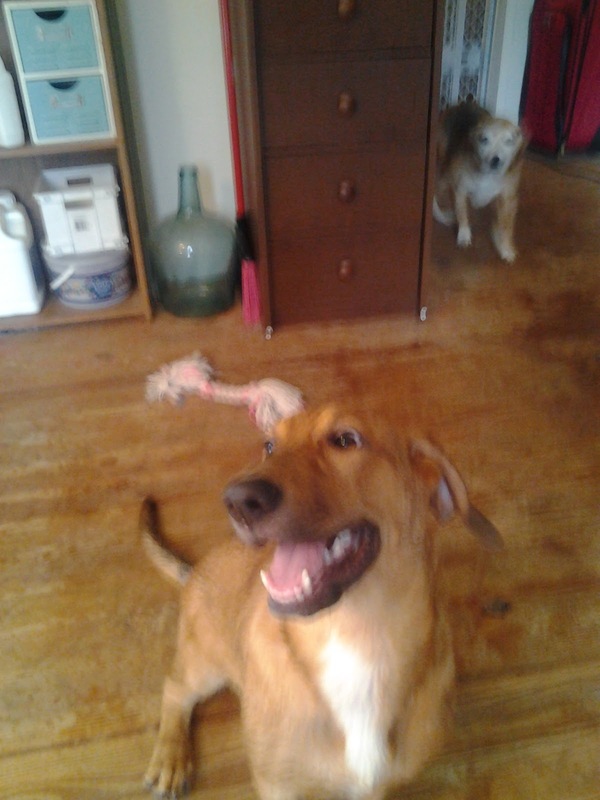 He became much too willful and active for our other dogs. He then found another foster home where he could play with puppies for much of the day. This was much better for our pack and for Biscuit. Fostering dogs is a very rewarding and fun experience. However, it is a commitment in a similar sense to your commitment to your own adopted dogs. If you are considering becoming a foster parent, you will have to commit to caring for the fosters. This commitment involves the same things as does an adoption. You need to provide exercise for them. You will need to arrange for their care when you are away from home (this is done with the help of the rescue group with which you are affiliated). It is not a requirement but, I strongly recommend that you work with the fosters on obedience training just as you would your own dog. You don't have to work with a professional trainer but you should do things like get the dog to respond to his/her name, come when called, and walk properly on a leash. This will make the dog more adoptable. It is not a requirement that you have other dogs at home. However, this sometimes helps the foster dog to learn routines and how to behave in a typical home. Dogs really do learn faster when other well behaved dogs are in their pack. However, many foster parents only have foster dogs at their homes. These are really special people! You will also learn a great deal about dogs by fostering. You are exposed to dogs from differing backgrounds. Unfortunately, many times, you see the direct results of how abuse and neglect can effect a dog. These cases are heartbreaking but when I see a dog progress after one of these terrible situations it really makes me feel blessed to have been involved in helping that dog find a happier life! Some of the abuse toward dogs of which people are capable may sicken you for a while. Things like a dog that is starving or a dog that has been beaten really bother me. However, it is a great blessing to be in a position to help these wonderful creatures that God gave us as a gift. I truly view each of them as a special gift from God. I think you will too as a foster parent! If you are interested in becoming a foster parent, please contact me for the names of some of God's special servants in the Dog Rescue world who will be happy to have you as a foster family! There is a great need for foster families! Rescue groups always have more dogs than fosters. So, you are needed! By the way, I am currently writing a book about adopted dogs. I intend it to also be very helpful to foster parents. 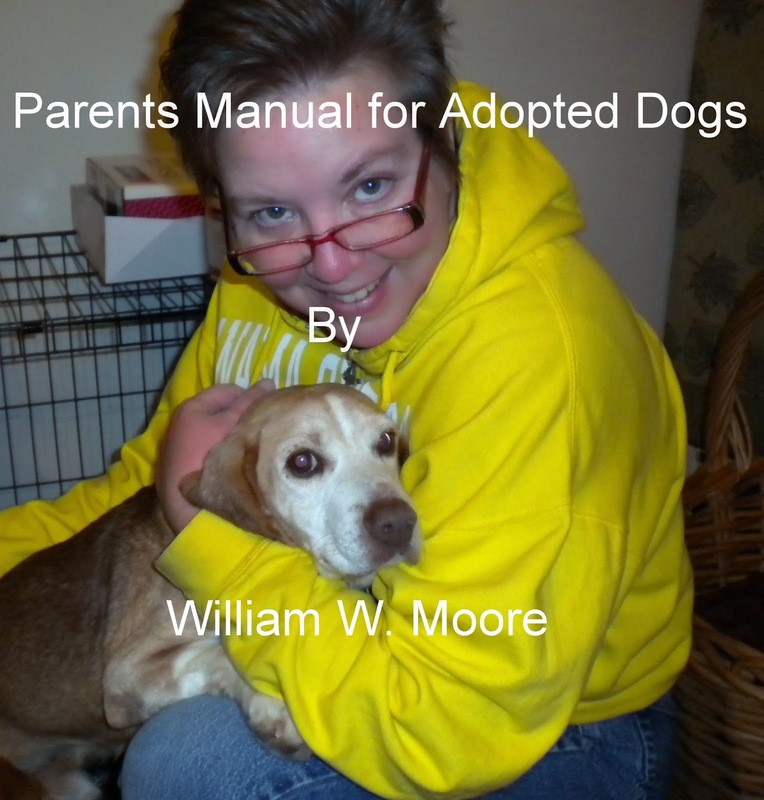 The working title is Parent's Manual for Adopted Dogs (all rights reserved). I intend to have it published in electronic format in early 2015. I recently wrote a blog post about it if you are interested. Coming in 2015 ..... New Book! Beagle Adoption Event at Petco in Peachtree City.